Days of flash flooding, tornadoes and rainfall across central Texas and Oklahoma swept away hundreds of homes and left at least five people dead and a dozen missing, emergency officials said Monday. Rescuers in helicopters and boats rushed to save stranded residents across the southern states. These tragic events occurred over the Memorial Day weekend. Oklahoma firefighter was swept away and killed, while helping save trapped families gathered for a girl’s fifth birthday party. A high school senior died by violently surging floodwaters while driving home from her prom Saturday night. In addition, 33-year-old Tulsa woman was also killed in a traffic accident Saturday evening after the car she was driving was rammed by a truck. More than 1,000 people were evacuated and at least five were killed during hours of vicious winds and drenching storms, including a 14-year-old Texan whose body was found Monday in a deluged storm drain. In Mexico, a tornado that tore through the border city of Ciudad Acuña on Monday decimated a seven-block swath and killed at least 13 people. Hundreds of homes were damaged, and more than 200 people were rushed to hospitals. Twelve people, including three children younger than 10, were said to be missing Monday after two families took shelter. On the bank of the Blanco River between Austin and San Antonio, was one of the hardest hit in the weekend floods. 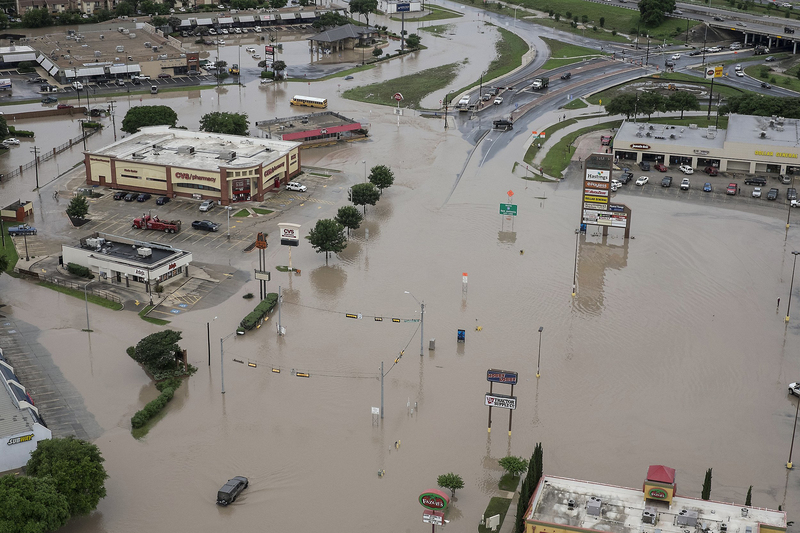 The river swelled more than 30 feet there within three hours Sunday, scattering wet wreckage and overrunning nearby Interstate 35. Officials instituted a curfew Monday for the second night in a row, warning residents to stay away from rubble-strewn areas. Tornadoes and heavy winds Sunday battered buildings in Texas and along the Mexico border, including at a ravaged Houston apartment complex at which two people were injured. In addition, I believe that this tragic event has affected many people, including their families. I hope that those who are missing will be found, and returned to their families. Every person should take safety precautions when dealing with these natural disasters.